Explore one of the world’s most scenic coastal drives – The Great Ocean Road – which runs for more than 240km, passes through laid back coastal towns (Anglesea and Lorne), the magnificent forests of the Great Otway National Park, and Port Campbell National Park that features an array of sheer cliffs overlooking offshore islets, rock stacks, gorges, arches, and blow-holes including the world famous Twelve Apostles. Next, head for mountains to experience the underrated gem of Melbourne, the Grampians National Park. There are more than 160 km of trails offering everything from short easy strolls to challenging overnight hikes that bring you to the various creeks, waterfalls, lookout points and aboriginal historical sites. Appreciate the impressive range of wildlife inhabiting in the area. 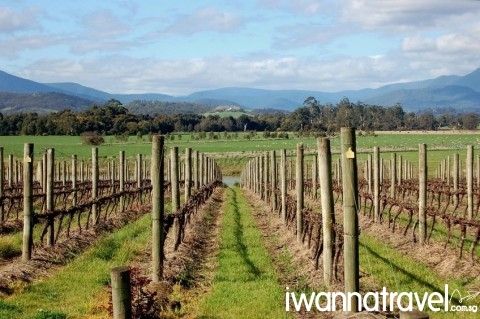 Not to be missed, would be a stop to Yarra Valley, a premium winery region of Australia. Indulge in wine tasting and learn the intricacies of wine making processes in iconic or boutique wineries, enjoy fine dining with a selection of excellent wines against a backdrop of rolling hills, take a hot air balloon ride over the spectacular Yarra Valley or simply enjoy a quiet walk around the plantation estates. 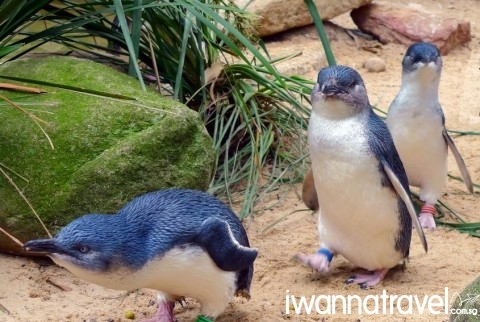 To catch penguins in its natural habitat, head to Philip Island for the Penguin Parade. As the sun goes down, the penguins waddle up the beach to the safety of their homes in the Summerland Beach. Visit the Nobbies Center at the western end of the island with cliff top boardwalks that overlooks Seal Rocks – rocky outcrop that is home to Australia’s largest colony of fur seals. Other highlights include the wildlife park where you can have close encounters with more than 100 different species of Australian animals. Arrive at Melbourne airport and transfer by Skybus to your hotel. Enjoy the rest of the day at your own leisure. (Free and Easy). 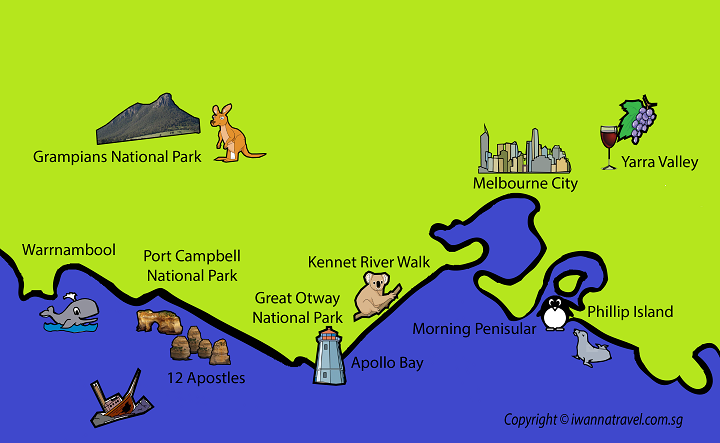 Pick up from the Melbourne CBD area for the Great Ocean Road Tour. You will travel along the breathtaking coastline between Torquay (the surfing capital of Australia and birthplace of iconic brands Rip Curl and Quicksilver) and the seaside village of Apollo Bay, passing through the popular holiday towns of Anglesea and Lorne. Stroll along the beautiful beaches and be impressed by the seasoned surfers performing various stunts in waves metres high. Alight for a short walk along the Kennet River to spot the wild Koalas sleeping in gum trees, the famous Kookaburra and try your hand at feeding wild parrots. Enjoy a delicious lunch while immersing in the local coffee culture to replenish your energy for the second half of the day. The road then runs through the magnificent ancient forests of the Great Otway National Park where you can experience the thrill of tree top walk at Otway National Park. At 600m long and 30m above the forest floor, it is the longest and highest walk of its kind in the world. 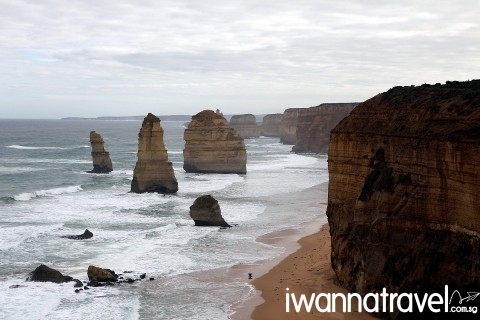 The road then rejoins the coast at Princetown and winds along the shoreline of the Port Campbell National Park, featuring an array of sheer cliffs overlooking offshore islets, rock stacks, gorges, arches, and blow-holes. Be awe- inspired by the dramatic wave-sculpted rock formations like the world famous Twelve Apostles, London Bridge, Loch Arch Gorge, the Gibson Steps, and The Grotto. Learn about the heritage of the Shipwreck Coast through Port Campbell Discovery Walk. Wake up in the morning to the sound of waves, enchanting sea breeze and captivating sea view. In winter from June to September, head out to the viewing platform at Logans Beach to watch Southern Right whales as they make their way around the southern coast of Australia to mate and give birth to claves. Meet Koalas, Emus, Kangaroos, Magpie, Echidnas and many species of waterbirds roaming freely in Tower Hill State Game Reserve, which nestled inside a dormant volcano formed some 30,000 years ago. 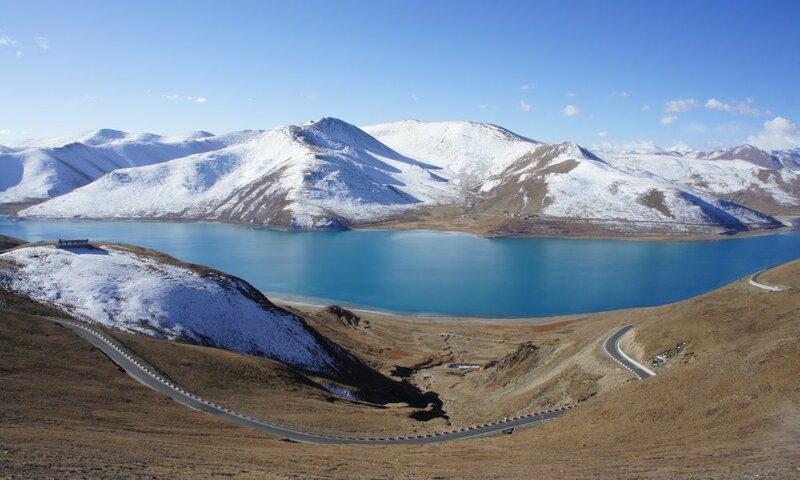 Town Hill has one of the most fascinating geological formations in Victoria – within its massive craters are a series of small cones surrounded by a crater lake. Take a short walk to the top of Mount Rouse, another extinct volcano with spectacular views of lava fields, farmlands and Grampians in the North. At Hall Gaps – base for exploring Grampians, you can visit one of the many restaurants or cafes and try a classic Aussie pie or gelati. After lunch, you will visit Brambuk Aboriginal Cultural Centre to learn more about the aboriginal culture and history. 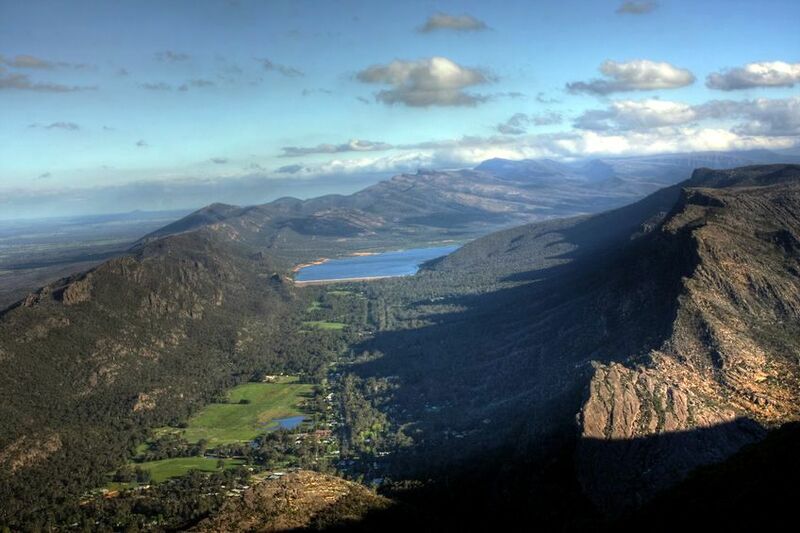 Go for a 2 hours hike to the 1100 m high Pinnacle Lookout – one of the very best vantage points in the Grampians for breathtaking views of Grampians’ fascinating rock formation and the vast expense of the plains below. Wake up in the morning with wild kangaroos at your door step – a quintessential Aussie experience. Emu and deers can also be seen roaming freely on the ground. 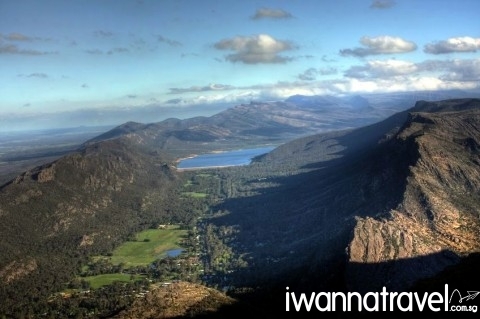 After a sumptuous Aussie breakfast, you will continue your exploration of the Grampians. Visit the beautiful and unique Silverband Falls whose falls tumble over the rocky surface and then disappears into the ground before re-emerging some 50 metres west of the falls. Embark on a pleasant short trek through the bush land from Reed Lookout to The Balconies (aka Jaw’s of Death- with an overhanging rock pinnacle wide enough to walk on) which offers exceptional views of Victoria’s wilderness, Lake Wartook and the Mount Difficult Range to the north. End your visit of the Grampian with a stop at Bunjil’s Shelter which showcases a 10,000 years old Aboriginal art. 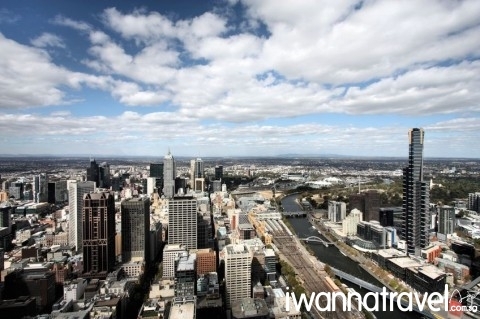 On the way back to Melbourne, enjoy the spectacular city night view while cruising along the Yarra River Bridge. 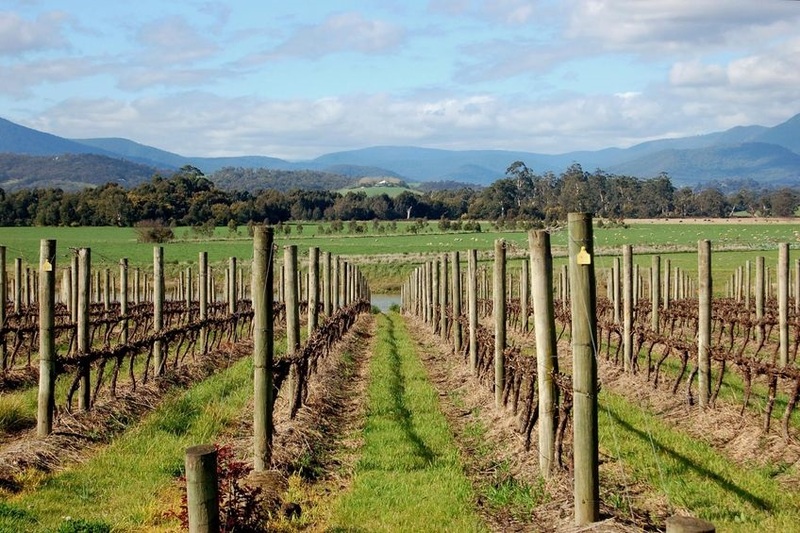 Renowned as a premium winery region of Australia, the Yarra Valley is as popular as Tuscany in Italy or Bordeaux in France. Tucked among the hills are dozens of wineries and vineyards producing some of the nation’s best Pinot Noir, Chardonnay, Shiraz and sparkling wines. Indulge in wine tasting and learn the intricacies of wine making processes in iconic or boutique wineries like Yering Station, Domaine Chandon, Balgownie Estate etc. Enjoy fine dining with selection of excellent wines against a backdrop of rolling hills or simply enjoy a quiet walk around the plantation estates. 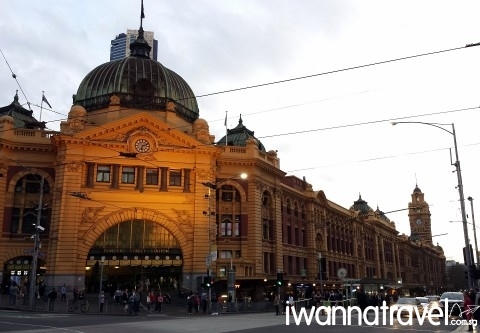 With cool climate, stunning mountain views, secluded and pristine countryside environment, beautiful landscaped gardens with forward looking blend of modern and rustic architectures and all on Melbourne’s door step, this is a must visit region. See the world’s smallest penguin in its natural habitat from viewing stands and boardwalks. Enjoy interactive and educational displays in the visitor centre and the spectacular coastal scenery from the Penguin Parade. As the sun goes down, the penguins waddle up the beach to the safety of their homes in the Summerland Beach. Visit the Nobbies Center at the western end of the island with cliff top boardwalks that overlooks Seal Rocks – rocky outcrop that is home to Australia’s largest colony of fur seals. Further down the boardwalk is a spectacular gigantic blowhole that thunders with each incoming waves. Other highlights include the wildlife park where you can have close encounters with more than 100 different species of Australian animals. 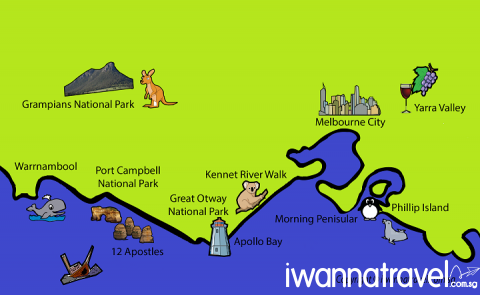 Kangaroos and Wallabies roam throughout the grounds in a free-range environment, where you can hand feed and pat them. Other native wildlife includes Tasmanian Devils, dingoes, wombats, Kookaburras, and the flightless Emu. Immersed yourself in Melbourne’s brunch and coffee culture through its plethora of unique cafes, bistros, restaurants and bars. Hop on and off Melbourne city tram – longest tram network in the world – to explore the city and get a running commentary on the places of interest along its route. 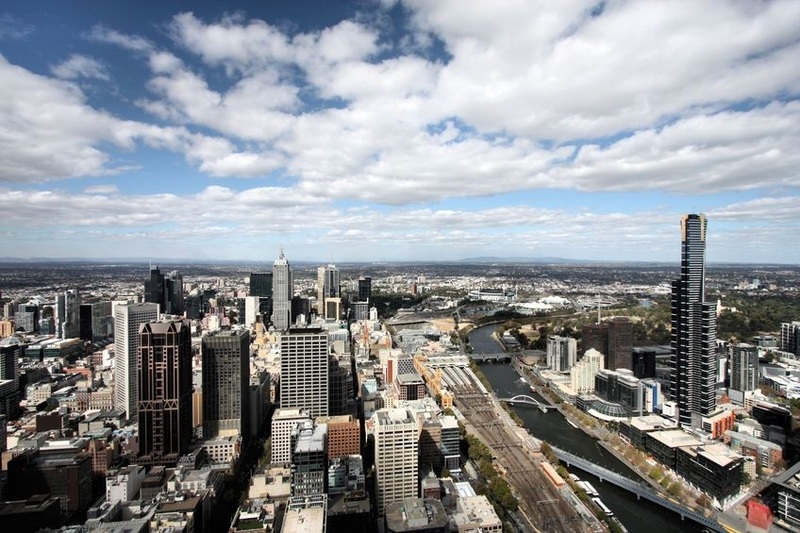 Melbourne boasts a myriad of markets cratering for all tastes and interests from fashion, jewellery, fresh food, irresistible treats, and arts and crafts. Gulp down a dollar fresh oyster at South Melbourne Market. Rummage through the suitcase of bric-a-brac, trinkets and fashion clothing at the Suitcase Rummage Market. Take a respite from shopping by visiting the internationally renowned Royal Botanic Gardens Melbourne with its stunning environ, tranquil lakes and diverse plant collections from all over the world. 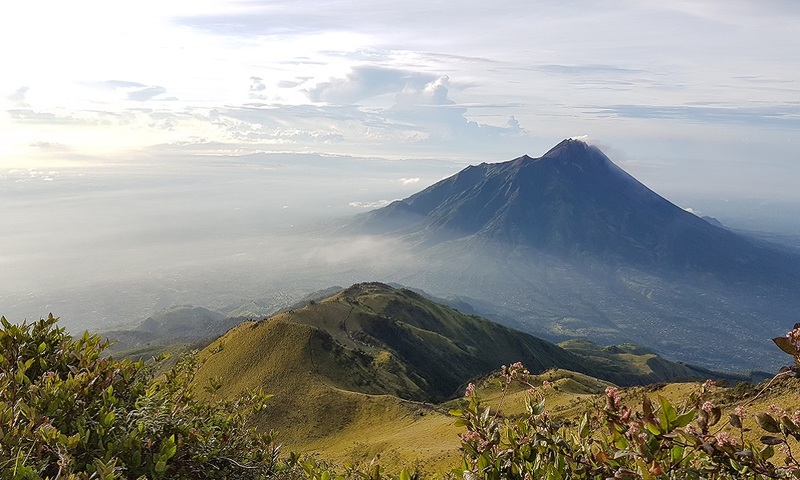 Other highlights include Bush the National Herbarium, Tropical Hothouse, Plant Craft Cottage and the Guilfoyle’s Volcano. Visit the highly acclaimed Melbourne Zoo with its various bioclimatic zones like Gorilla rainforest, Australian, Wild Sea etc. Take a peek into Victoria’s life, her culture, natural environment and aboriginal history through Melbourne Museum and Bunjilaka Aboriginal Cultural Centre. Make a dash to the trendy and cosmopolitan suburb of St Kilda to enjoy the sun, sea breeze, sandy beach, food, entertainment and nightlife. For an adrenaline rush, go for a roller coaster ride at the Luna Park nearby. 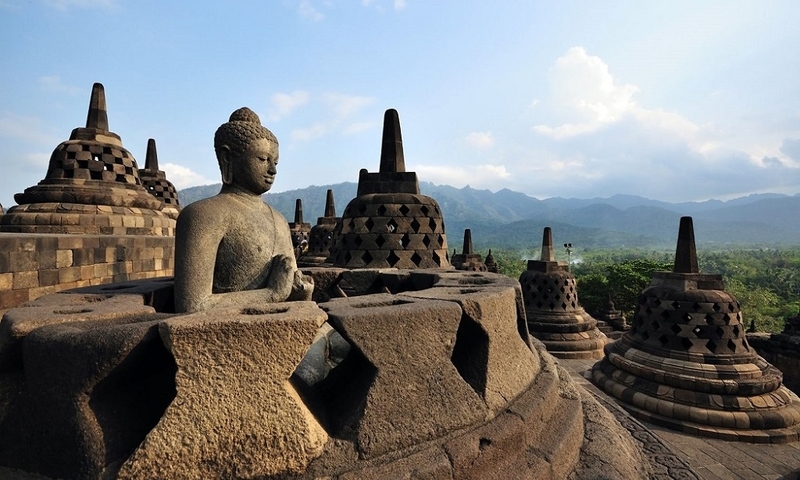 Free and easy at your own leisure till transfer by Skybus to airport. 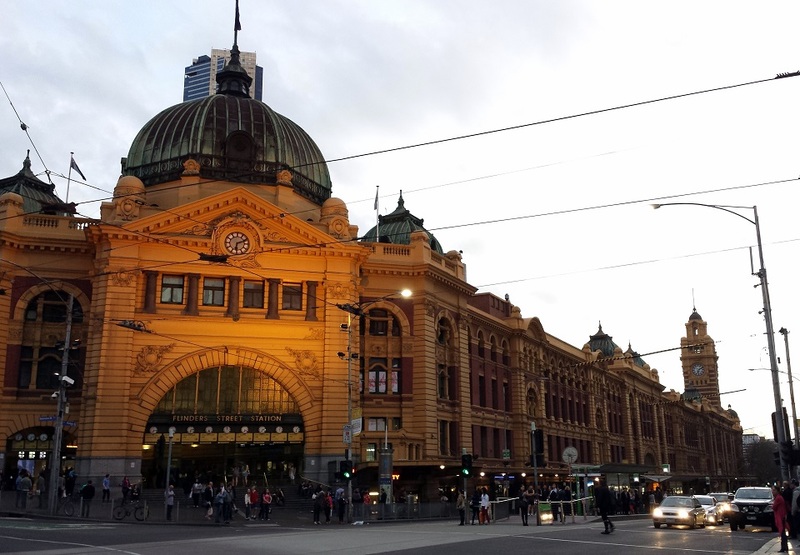 Best time to visit Melbourne: Between March and May and September and November which feature moderate temperatures and moderate tourist crowds. Skybus: The skybus will transfer you from Melbourne Airport to the Skybus terminal at Southern Cross Station in the city centre. From the Skybus terminal, there will be another mini-bus which will transfer you directly to your hotel. For transfer from hotel to airport, you just need to inform the SkyBus operator to pick you up one and half hours beforehand. SkyBus runs 24/7 with day departures every 10 minutes.